The mysterious appeal of gemstones, their exquisite and varied colors, and the amazing play of light contained within them, have made them desirable to many. These qualities, combined with their rarity, hardness and durability means that precious gemstones are uniquely valuable. Now, there are two categories of stones, precious and semi-precious. 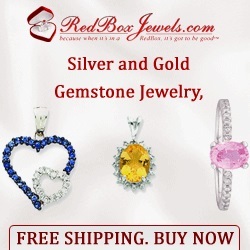 This discussion deals exclusively with semi-precious stones, and specifically highlights some of the stones used in the handmade sterling silver jewelry of Jewelry 21. Semi-precious stones come in a wide variety of wonderful colors and patterns and a range of opacity and translucency. Translucent stones are the ones that look clear and sparkly, like citrine and amethyst, and you can see into the stone. Opaque stones are very solid looking, and you cannot see into them. Some examples of opaque stones are agate, jasper and onyx. There are varying degrees of these qualities among semi-precious gemstones. Quartz is a common stone that is family to a broad variety of gemstones. The gemstone quartz has many varieties. We have already mentioned citrine and amethyst, and there are many others, such as rose quartz, rutilated quartz, onyx, agates and chrysoprase. Rose quartz has a beautiful pale pink color, which can vary in degrees of translucency. Transparent rose quartz does occur, but it is rare and exceedingly pale. Rose quartz is usually used for beads, cabochons and carvings. The photo to the left shows Too Divine Jewelry’s Filigree pendant with Rose Quartz. If you have a powder pink outfit that needs accessorizing, this is the gemstone. Tiger’s eye is another form of quartz, so called because of the golden gleam that shows on the surface of the stone. Iron produces the golden-yellow color of tiger’s eye stones. Rutilated quartz and tourmalinated quartz are clear forms of quartz that contain inclusions of colored needles. The needles of rutile in rutilated quartz are a golden or coppery color, while the tourmaline crystals found in tourmalinated quartz are black or sometimes dark green. Chalcedony (pronounced kel-sed’-nee) is a subcategory of quartz, composed of microcrystalline quartz crystals. There are gemstones specifically called chalcedony, which are available in opaque colors of very pale blue, yellow and sea-blue. Other stones in this category include agate, bloodstone, jasper, onyx, carnelian and chrysoprase. Black onyx is a chalcedony which is dyed using an ancient process to produce a uniform opaque black color. Carnelian has a deep brown orange color with a clear translucency. Chrysoprase is a bright, rich green color, and is considered the most valuable of the chalcedonies. These gemstones are generally available in beads, cabochons and carvings. There are over 3,000 different minerals, but only around 50 are commonly used as gemstones. Others are cut for collectors, but are often not suitable for personal adornment because they are too soft and easily damaged. To be considered as a gemstone, a mineral (or sometimes an organic material) must be beautiful, most importantly in its color. A gemstone must also be durable – hard enough to withstand constant use or handling without becoming scratched or damaged. Finally it must be rare, because its very scarcity endows it with a greater market value. Most gemstones are minerals with a fixed chemical composition and regular internal structure. A few gems, such as amber and pearl, come from plants or animals, and are commonly known as organics. Other stones, called synthetic or created gems, do not have a natural origin, but are made in laboratories. These have the same physical, optical and chemical properties as natural gems, and are often cut to imitate the natural gemstones. Almost all cut gems begin life in a crystalline form embedded in a host rock known as the matrix. In this state, the gemstone is referred to as “rough” and in many cases is barely recognizable as the finished gem. However, many crystals are attractive enough to be displayed in their natural state. Others are faceted and polished to enhance their beauty and then set into a piece of jewelry or an ornament. Hopefully this article has shed some light on the properties of commonly used gemstones. Feel free to browse around more and read up on the different aspects of gemstone jewelry here!